I find Saisons to be particularly refreshing on a hot day and we've had no shortage of those lately. The daytime temperature have been well over 100 degrees lately with the heat index. 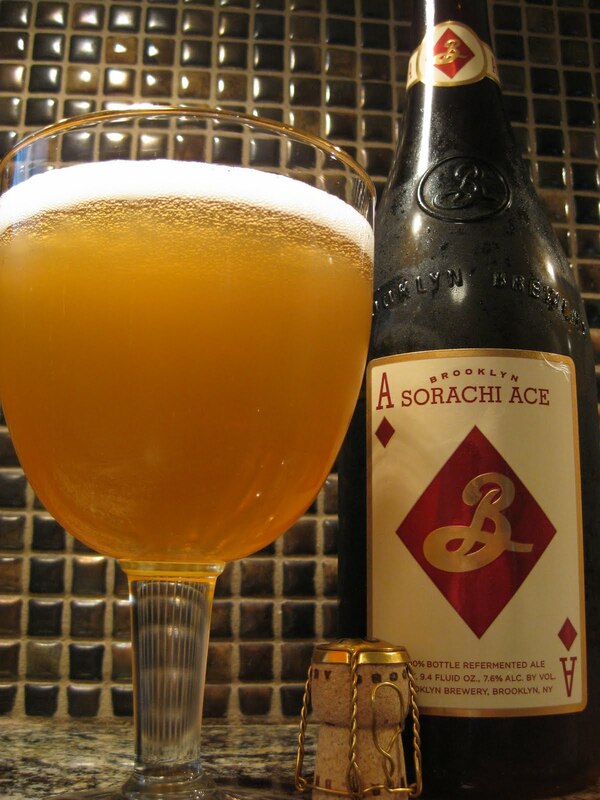 In other words, it was the was perfect time to try the new Sorachi Ace from Brooklyn Brewing that I had just recently found at my local Spec's. 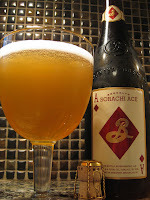 The Sorachi Ace is a classic Saison style and the name comes from the fact that it's brewed entirely using Sorachi Ace hops. The Sorachi Ace hops are actually a cross between the Brewer's Gold and Saaz hop varieties that was developed in Japan in the late '80s. Its this hop that gives the beer its distinctive lemony flavours and aroma. However, the lemon is not overpowering as flavours of pepper, coriander and lemon grass still come through in the end. Finish is crisp and dry. Excellent on a hot day and would pair very well with light salads and seafood.